Mahesh Shirodkar, Managing Director, Tamarind Global has been honoured with the DDP Game Changer award. An industry veteran with 35 years of experience, Shirodkar has been instrumental in shaping the industry from strength to strength. He started his career with Cox and Kings and soon moved to Dubai. Upon his return he set up his own specialised company which was bought over by Kuoni Travels. Post the integration, he took over as the COO of SOTC, the flagship division of Kuoni. His hunger drove him to start his own entrepreneurial venture focusing on MICE, inbound travel, event management and weddings. Conceptualizing and initiating a ‘celebrity management company’ that changed the face of the industry was yet another of his contribution to the trade. He now has 14 offices spanning 5 countries manned by a staff of 350 people. India secured three Gold awards in the Marketing Media category of the 2016 PATA Grand and Gold Awards. 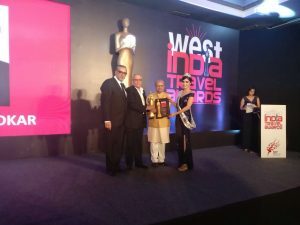 The Pacific Asia Travel Association (PATA) announced that Kerala Tourism will receive two Gold awards, one for the state’s tourism E-Newsletter and one for Visit Kerala’s Travel Advertisement Broadcast Media while SOTC’s Luxury Travel division Perfect Moments will receive the PATA Gold Award 2016 for the Consumer Travel Brochure. 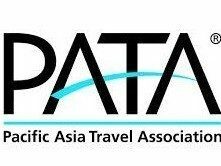 Dr. Mario Hardy, PATA CEO, commented, “This year’s winners exemplify the values of the Association in working towards a more responsible travel and tourism industry in the Asia Pacific region and we look forward to celebrating their accomplishments at the PATA Gold Awards luncheon and presentation at PATA Travel Mart 2016 in Indonesia.” To be held on September 9, 2016, during PATA Travel Mart 2016 in Greater Jakarta, this year’s awards recognise the achievements of 26 separate organisations and individuals. 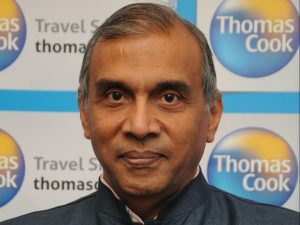 Thomas Cook will discontinue with brand Kuoni and rebrand it as SOTC India, which will operate independently, revealed Madhavan Menon, Chairman and MD Thomas Cook (India). Also, he revealed that Thomas Cook (India) will not be using the Thomas Cook brand after 2025. Talking of the new structure post the acquisition of Kuoni India, Menon said that the company has started the process of discontinuing the Kuoni brand in India. He said, “The Kuoni brand is available to us in India for one year and we plan to migrate to SOTC.” Kuoni’s outbound business will be known as SOTC India Pvt Ltd. SOTC will have an independent management team. It will continue to run the outbound business – packages holidays, corporate travel, MICE and domestic travel that will be launched. Thomas Cook India will de-merge SITA – Kuoni India’s inbound brand – and merge it with TCI. 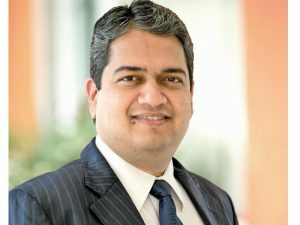 This company will be known as TCI, which will be headed by Dipak Deva , incorporate the three brands– TCI, SITA and Distant Frontiers. Further, he disclosed that The Thomas Cook India Group is allowed use of the Thomas Cook brand till 2025. As part of its Brand Transition Strategy, the plan to hence leverage the strengths of these brands and draw up a strategy to replace the Thomas Cook brand in the long term.